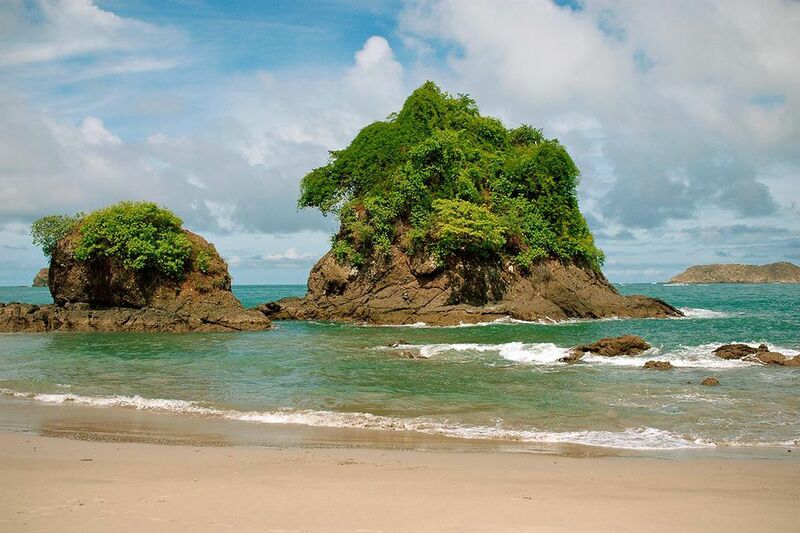 Costa Rica is known for having great weather all year long. It is also a fantastic place to visit for all of those who enjoy nature, adventure, gorgeous beaches, and wildlife encounters. This is an amazing option for all of those who are looking to get away from the cold winter that some countries experience during December. December is the middle of the winter season for most of the northern countries. However, during this time, Costa Rica experiences some of its best weather of the year—just in time for the Christmas holidays. The rainy season is officially over by the middle of November in most of the country. That's when the climate gets just a bit colder and windier, and less muggy, providing gorgeous clear skies and sunny days. This happens pretty much all over Central America during this time of the year. Areas around San José are relatively dry during December, receiving around 1.6 inches of rainfall, but other regions like Manuel Antonio, on the Pacific side, and Limón, on the Caribbean side, receive much more. The latter can receive upwards of 12 inches throughout December. The country as a whole is quite humid, with humidity occasionally exceeding 88 percent in many areas. Costa Rica is a small country, but it's also home to 12 different microclimates, which can make packing tricky. As a general rule, casual attire is OK throughout the country. May through November is the rainy season in Costa Rica, but it can still rain any time of year, so a raincoat or poncho is a good idea. You'll also likely want to pack hiking boots, insect repellant, sunscreen, and a sun hat. Locals from Costa Rica love a good celebration, and each month the different towns host some celebration. December isn't an exception. There are tons of cool celebrations that you can take part in. Christmas: During Christmas Day and the week after December 25, pretty much all of Costa Rica erupts in celebrations: fireworks, fruits, and festivals. Many Tico children celebrate Santa Claus, anticipating the magical arrival of his gifts under their Christmas tree. There is also tons of traditional food around. “Summer” School Holidays: The long public school vacations in Costa Rica run from the middle of the second week in December through the beginning of the second week in February, so you can expect to see tons of families on vacation. This means that the beaches will be a bit more crowded than they usually are. Festival de la Luz: This event takes place in San José. The festival lasts a whole week and includes lighting displays, concerts, and fireworks after dark in the park. The Christmas mood here is unmistakable! Fiesta Pattronale Pavas: This is a pretty common type of street fair with music, dancing, traditional food, and toro a la Tica (bullfights without the bloodshed). As the name implies, it takes place in the Pavas area of San Jose. Fiesta de la Yeguita: During this time you will see bullfights and a parade followed by a large Tico style party at the central park of Nicoya with food, concerts, and fireworks. Tope Caballos: A horse parade on December 26 through downtown San José. Costa Rica takes its holidays seriously! While the Christmas holiday season is an extraordinary time to visit Costa Rica, it’s also a hectic time to visit. Many businesses are also closed all week long. Since December is the peak travel season in Costa Rica, book your accommodation and other reservations early. Ideally, you'll want to confirm reservations before the end of October. El Niño and La Niña weather systems can occasionally impact Costa Rica. These systems kick the dry season into a gear a few weeks earlier than normal. Travelers should also be aware of papagayos, strong winds that are common in the northwest. If you're planning to drive, roads can be tricky in early December, especially in more rural areas. Months of rain can cause landslides that lead to road closures and other detours.